Celebrity Gossip and Entertainment News: Cheating Ends Blake Shelton and Miranda Lambert Marriage? Cheating Ends Blake Shelton and Miranda Lambert Marriage? Cheating rumors surround Blake Shelton Miranda Lambert divorce announcement. While Blake Shelton's camp insisted that he had been faithful to Miranda Lambert throughout their marriage, a new report emerges claiming that it was Miranda's infidelity that caused the divorce. Sources familiar with the situation tell TMZ that the "Neon Light" singer has suspected for months that Miranda was cheating on him. Blake reportedly heard rumors that Miranda had hooked up with country singer Chris Young, who opened for Miranda at her concerts a few years ago. However, it's not her alleged affair with Chris that became the catalyst for the divorce. The sources say Blake recently heard that Miranda cheated on him with another guy, who is not a country singer, and that made him finally convinced that she had been unfaithful to him. Hence, he filed for divorce two weeks ago. He was allegedly very upset and told his now ex-wife to get her animals off his Oklahoma ranch by Monday. 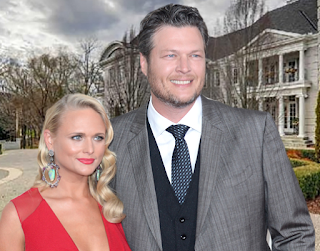 Blake and Miranda's divorce was finalized on Monday, July 20, just hours after they announced their split. The former couple said in a joint statement, "This is not the future we envisioned. And it is with heavy hearts that we move forward separately. We are real people, with real lives, with real families, friends and colleagues. Therefore, we kindly ask for privacy and compassion concerning this very personal matter."